You are currently viewing the Phoenix BSN for Baccalaureate Degree Graduates page. Your bachelor degree is proudly hung on your wall. The only problem? You want to become a registered nurse without having to commit to many more years of school. Brookline’s program is specifically designed for students who already have a bachelor’s degree in another field. Earn a Bachelor of Science in Nursing (BSN) in 16 months of full-time study including breaks. The sole focus of this program is on nursing and gaining clinical experience. The curriculum includes in class instruction, lab work in a simulation center and clinical placements in the Phoenix area. The BSN for Baccalaureate Degree Graduates (BDG) program is designed to prepare graduates for entry-level professional nursing positions that will require them to assess, plan, implement, and evaluate care within a variety of clinical settings, including hospitals, community health agencies and clinics. This 16 month program includes pre-professional nursing coursework. Nursing courses that consist of classroom and laboratory activities are integrated with clinical experiences which include simulation. What are the typical class hours like? Class and lab hours run between 8:00 AM and 5:00 PM Monday through Friday. Your clinical experiences, including simulation could occur during the day, evening and weekends. Official transcripts from all college or universities attended documenting conferral of a baccalaureate degree and completion of specific pre-requisite courses. Passing of the HESI test, minimum composite score of 75%, with a minimum score of 70% on the math and 74% on the vocabulary parts. Brookline College’s Second-degree Bachelor of Science in Nursing program allows graduates to be eligible to take the registered nurse licensure examination after only 16 months of full-time study. In this program, college graduates transition into entry-level nursing roles in a compressed timeframe. Clinical experiences in the hospital, laboratory, and community supplement classroom learning as students develop the skills and competencies to provide nursing care across the healthcare continuum. Brookline College prepares students in the Bachelor of Science in Nursing program to take certification and/or licensure exams related to their program of study, including the NCLEX-RN licensure exam. Utilize the nursing process and critical thinking as tools to make culturally-sensitive patient-centered clinical decisions in all health care settings within systems-based environments. Collaborate with patients and other members of the healthcare team in the planning, coordination, and provision of competent care. Integrate evidence-based findings into nursing and collaborative practice. Promote patient and staff safety utilizing the process of quality improvement based on available evidence. Use information and technology for communication, knowledge development, and clinical-decision making. Demonstrate leadership behaviors and professionalism when providing care to patients across the lifespan in all health care settings. Integrate legal, ethical, and professional standards into nursing practice. * Some courses may be completed/required to be completed via the online delivery method. ** Subject areas permissible for PRQ 277 course credit include: Humanities: including, literature, philosophy, logic, foreign language, art, music appreciation, and communications, including rhetoric, composition, and speech; but excluding business communications, spelling, letter writing, and word study; Mathematics and the Sciences: including biology, chemistry, physics, geology astronomy, and mathematics theory and analysis, including algebra, trigonometry, geometry, calculus, and other advanced mathematics courses, but excluding business mathematics and basic computations, and Social Sciences: including history, economics, political science, geography, sociology, anthropology, and general psychology, but excluding courses such as practical psychology, selling techniques and social or business behavior. *** PRQ 177 Courses include the following: Anatomy and physiology (two courses), carrying a minimum of 6 semester credits; microbiology, a minimum of 3 semester credits; developmental or lifespan psychology, a minimum of 3 semester credits; statistics (in any field of study), a minimum of 3 semester credits. Official transcripts from all college or universities attended documenting conferral of a baccalaureate degree. To be accepted as a student in the BDG program you must have completed the following courses as part of your Bachelor’s degree. Anatomy and physiology (two courses), carrying a minimum of 6 semester credits; microbiology, a minimum of 3 semester credits; developmental or lifespan psychology, a minimum of 3 semester credits; statistics (in any field of study), a minimum of 3 semester credits. If these classes were not part of your degree you can complete them at Brookline prior to your entry into the BDG program. Applicants are required to take the complete HESI A2 admission assessment examination: English, Math, Science, and Learner Profile. Applicants must achieve a minimum composite score of 73%. GPA of 2.5 is required for admission. GED cumulative scores specified by series/date. Any applicant’s file that does not meet the minimum requirements are reviewed by a faculty-led Admissions Committee which may accept or deny the file. Justification is documented in the file and provided to the applicant. Please visit the College Catalog for all of the admissions requirements. Our Admission Representatives are available to answer your questions about admission requirements and walk you through the application process. Call (602) 242-6265 to speak to a representative or request more information. Brookline College does not have delayed acceptance. Once accepted into the Brookline’s BDG program you are in! Other schools often won’t accept a student into the Nursing program until after they have completed a group of required classes and maintain a cut score GPA. Connect with a Brookline Admissions Representative by either submitting your contact information (Request Information) or calling (602) 242-6265. Visit the campus. Two campus visit types are available: either a group information session or a personalized one-on-one tour. An Admissions Representative will be assigned to help you through the entire process. Complete and Application for Admissions and a background check. Submit official transcripts from each college or university you have attended or are currently attending. Take the HESI test. This test is a requirement for all students entering Brookline’s BSN and BDG programs. The HESI test takes place on Wednesday at 1:00 PM and Friday at 9:00 AM at the Phoenix Campus expect for holidays. Please call to confirm time and dates since the testing schedule is subject to change. Upon completion of the admissions requirements, you will be notified by your Brookline Admissions Representative on your status. Our admissions process roughly takes one to two weeks to move from application to acceptance. Dr. Bishop’s nursing career began over 35 years ago in High Risk L&D in Cleveland, Ohio. Her experiences have included Pediatric/Women’s Health Educator and Director of Women’s Services in acute care settings. She has over 14 years of academic teaching experience of which 6 ½ years were in academic leadership at a local well-respected College of Nursing. She completed her PhD in Nursing, and MSN in Nursing Administration from the University of Akron in Ohio. Accreditation is the recognition that an institution maintains the standards required to achieve the credentials for professional practice. It is the status granted to an institution that meets or exceeds specific criteria of educational quality as defined by the accrediting agency. 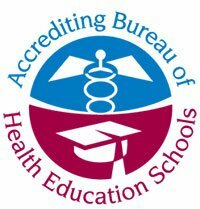 Institutional Accreditation: Brookline College’s Phoenix, Tucson, Tempe, and Albuquerque campuses are accredited by the Accrediting Bureau of Health Education Schools (ABHES). 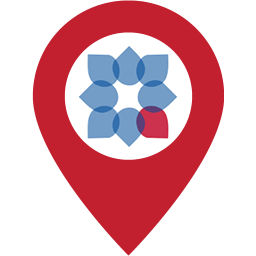 Programmatic Accreditation: Programmatic accreditation, also known as specialized or professional accreditation, is designed for specialized departments, programs, schools, or colleges within a university or institution that has already received accreditation. 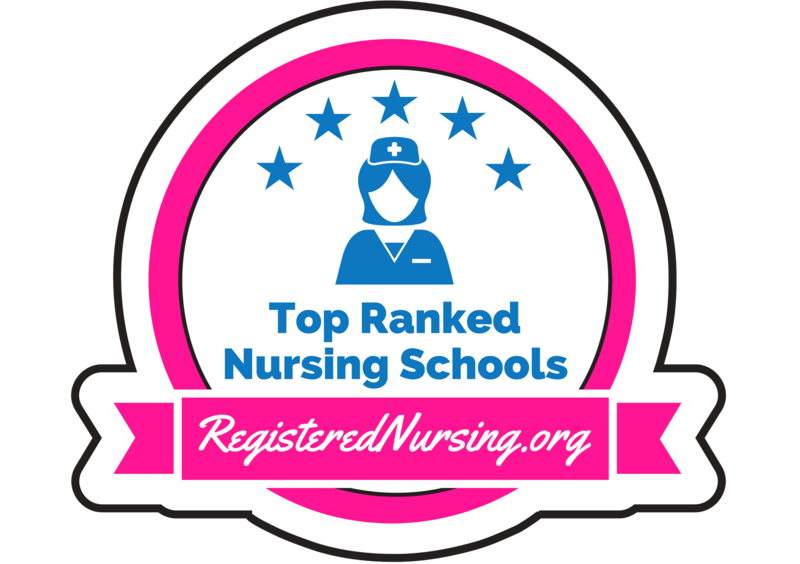 Brookline College Awarded Top 10 RN program in Arizona: RegisteredNursing.org has recognized Brookline College as one of the best nursing schools in Arizona. When do I participate in clinical experiences? All students begin their hands-on learning in the skills and simulation laboratory located on campus. Once fundamental skills have been mastered and validated, students begin on-site, direct patient-care learning opportunities, or “clinical experiences”. Generally, clinicals begin a few days or weeks after classroom teaching and last for the duration of the clinical course. Clinical shifts average eight to 10 hours, one to two days per week. Most clinical experiences are scheduled during the week. However, second shift and weekends may be necessary depending on available sites. The bachelor’s degree program has a total of 10 clinical courses. Brookline students have opportunities to experience practice settings that have included large and small hospitals, long-term care facilities, community and public-health agencies, faith-based service organizations, independent practices, ambulatory care centers, Veteran’s Administration Medical Centers, schools, home health environments… anywhere healthcare is delivered. 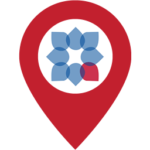 Recent clinical sites in the Phoenix area include: Banner Health, Abrazo Health, Phoenix Children’s Hospital, Anthony Bates Foundation Cardiac Screening, Maricopa Department of Public Health, and the Susan G. Komen Race. Your education is a big investment and Brookline College believes no investment offers more potential. A career in Nursing can transform your life, and we’re here to help you make that happen. At Brookline College, there are no hidden costs and many of the fees other schools charge are included in your tuition rate. Health Screening & Immunizations $500 – $1,400 is the usual amount that students pay to obtain prior to attending nursing programs. Group Accident & Sickness Insurance $2,208 is an average coverage amount that students pay on their own. More than 88% of Brookline College students use some form of financial aid(2) to help cover the cost of their education(3). That’s why we offer personalized counseling from a Student Finance Advisor to help make your college experience more affordable. We have also provided The Net Price Calculator that will provide preliminary, non-binding estimates of federal, state, and institutional aid eligibility based on federal methodology. (2) Student loans, grants and scholarships are available to those who qualify. (3) Percentage calculated by Brookline College for the 2015-16 school year. As a BS in nursing graduate, you will be eligible to take the NCLEX-RN exam and become a Registered Nurse. Brookline’s curriculum aligns with nursing best practices and the NCLEX-RN test plan using a computerized integrated RN Success ATI testing program. The Brookline program prepares you to successfully pass the NCLEX-RN exam. Obtaining an RN license allows you to work as a licensed registered nurse (RN) in the state of Arizona or any other state that you chose to take the exam when you graduate. This pre-licensure nursing program also prepares you to continue your education and earn a Master’s Degree in Nursing. (4) Students who are required to repeat a course to fulfill graduation requirements are subject to additional expenses. You’ll learn from qualified instructors who are committed to your success in the classroom. You’ll interact closely with your faculty as they teach, coach and mentor you through your time of study. Brookline College is committed to the advancement of nursing education and the success of nurses. With advanced degrees (Masters of Science in Nursing, Masters of Science in Nursing – Health Systems Administration) and workshops, nurses can continue to build their skills and career.